Every morning at Ephraim Church of the Bible Christians gather for praise, prayer, ex-Mormon testimonies and to listen to the teaching of a pageant veteran. 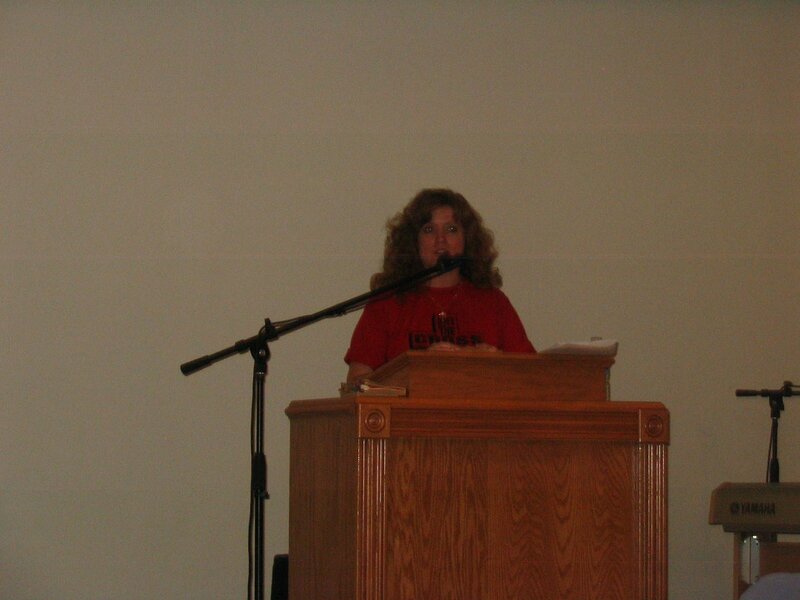 This morning Becky had the privilege of presenting the Impossible Gospel of Mormonism. (scroll down the page from the previous link until you see the listing.) Becky did a good job and many people came up to her afterwards to thank her for sharing our approach. Not only did Becky get to teach this morning, but she had a very cool witnessing experience in the bathroom of McDonald’s before we arrived at the church. Becky is keeping a journal so I’ll just have her tell you herself. even with Keith teasing me, telling me to take the advice of the professional. since had heard about it. laughed together and then she described some of them to me. Rosanne and Keith that I was right…I was supposed to go fix my hair! OK, I’m hungry so I’ll have to post our Saturday evening activities later.